Hi readers! How are you all doing? Thank you to all the participants who have joined the Listerine pledge and guess the phone contests. I hope I was able to give you inspiration, excitement and joy in my own little way. Over the past couple of weeks, I've been a very good boy in keeping my promise of a better oral care. However, I'm kinda not doing well in the cutting down of soda part of my pledge, because I've had so many parties and outings recently. I need to drive harder to lessen my soda intake. Help me! From all the entries I've received, I was able to choose 2 winners - 1 at random via Random.org and another as what I deem to be the best entry. This pledge is a winner for me, as it was full of meat and added factor that it was written in our native language, Filipino. Congratulations, Kany Vic Perez! Each winner will receive a Listerine gift pack containing 2 Listerine Total Care bottles, memo pad, and a pen. Please wait for my email on how to claim the prize. P.S. You see 4 lootbags in the picture, right? That means you have to stay tuned for another contest soon. So far, I am very impressed with the mystery phone I am letting you guess. 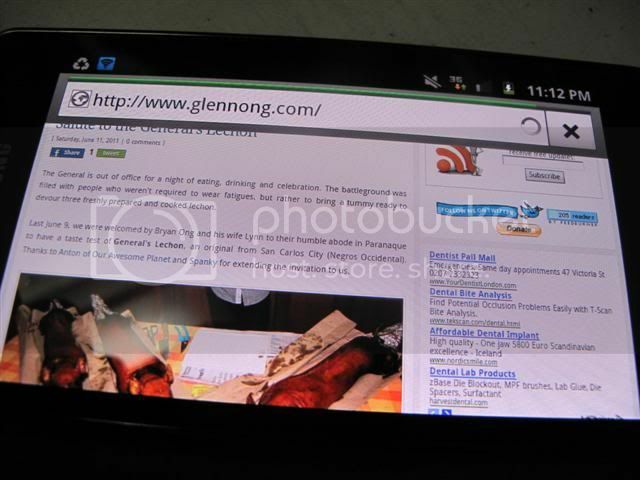 It's really nice and easy to use, plus very bright and crisp in terms of screen and graphics quality. With all the clues I've given out during the second round of guessing, you pretty much know what phone it is already! Good job! Congratulations once again to the 7 winners! Do look out for more contests, which are still part of the GLICH'S LIFE Share It, Guess It, Win It giveaway!